Works have commenced on a £3.3m commercial property development at Sherwood Energy Village in Ollerton, Nottinghamshire. 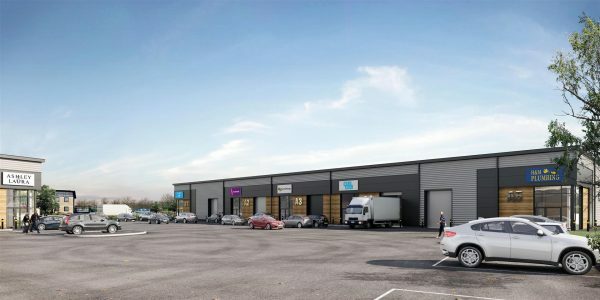 Designed by The Harris Partnership for CRT Property Investments Ltd, the scheme will provide 10 business units comprising 2,000 and 7,500 sq ft with option for combined spaces of up to 13,000 sq ft. The scheme is backed by a £2.8m investment from CRT, the wholly owned subsidiary of the Coalfields Regeneration Trust with a further £500,000 from D2N2, the private sector led Local Enterprise Partnership, and promises to bring an economic boost to the former coalmining community by regenerating 2.2 acres of unused land. Planning was granted in April 2016 and Castlehouse Construction is scheduled to complete the works by Spring 2018.